Franklin made program history on Wednesday, but with a win on Saturday they have now made Super Eight history. With the No. 7 Panthers and No. 3 St. John’s Prep tied 4-4 in the top of the eighth, Scott Elliot drilled a two-out three triple into right centerfield to give Franklin a 7-4 lead. 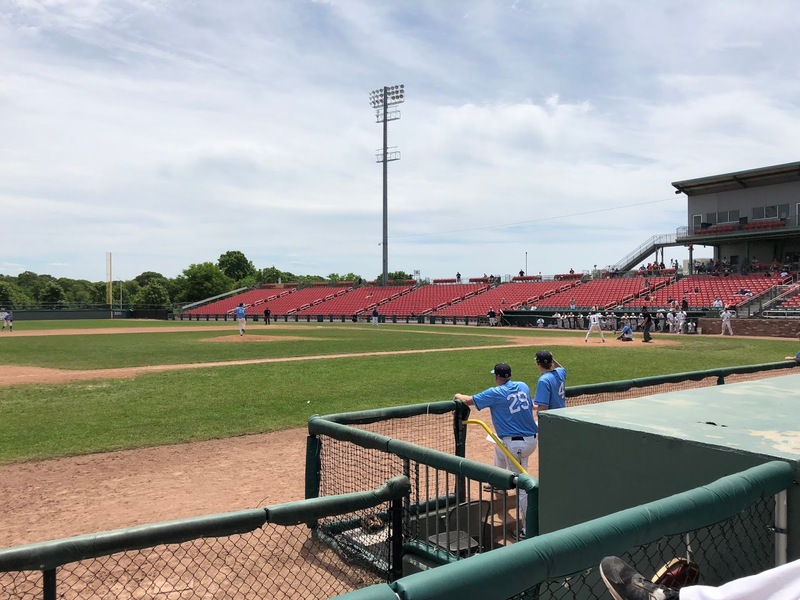 After Mike Yarin launched a two-out two-run home run to right to pull the Eagles within one, Panthers’ ace Jake Noviello came on and induced a groundout to second base as Franklin defeated St. John’s Prep, 7-6, on Saturday afternoon at Campanelli Stadium. The win advances Franklin to the Super Eight semifinals on Wednesday night. They are the lowest seeded team ever to advance to the winner’s bracket portion of the semifinals. “We were the last team into this tournament, so we got nothing to lose, and everything to gain,” said Franklin coach Zach Brown. With the score tied, 4-4, after seven innings, Steve Lutazzi reached on a one out walk. St. John’s Prep coach Dan Letarte called on Garrett Siegel to relieve Matt Relihan (4.1 IP, 1 H, 1 ER, 1 K). The Panthers proceeded to load the bases off of Siegel courtesy of a hit by pitch and a walk bringing Elliot to the plate with a chance to put Franklin in front. Elliot took full advantaging hitting a three-run triple into right center field to put Franklin on top 7-4. Panthers’ starter Bryan Woelfel (7 IP, 3 ER, seemed to get stronger as the game progressed. After allowing three runs in the third, Woelfel put up four consecutive zeroes to close his outing out surrendering just three hits over those frames. The right-hander kept the Eagles’ lineup off balance with a slurve of a breaking ball and pinpoint fastball command. Franklin left-handed reliever Jason Ulrickson relieved Woelfel to begin the eighth and quickly ran into trouble as Max Freedman doubled and Will Potdevin singled. Ulrickson battled back and induced a shallow fly ball and a got strikeout on the curveball to send the Panthers to the ninth scoreless. In the bottom of the ninth, the Prep clawed closer as Yarin clobbered a 2-2 hanging curveball to right center field to cut Franklin’s lead to 7-6. 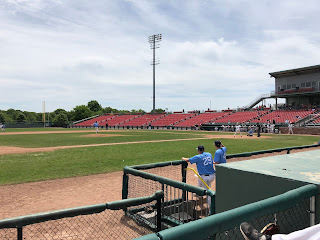 On came Noviello, and after allowing a two out single to Jacob Bolger, Noviello got a ground ball to second base to send Franklin to the semifinals. Franklin grabbed a 2-0 lead in the top of the first on a two-run single from Cooper Ross. The Eagles responded with a run in the bottom of the first as Yarin grounded an RBI single to right. St. John’s then jumped in front two innings later. A pair of walks around a Josh Cerretani single loaded the bases with nobody out, and on 1-2 Alex Lane flicked a Woelfel curveball into left field for a two run single to give the Eagles a 3-2 lead. A Bolger sacrifice fly extended the Prep’s lead to 4-2 after three. Franklin got a run right back in the top of the fourth as Luttazi drilled a first pitch fastball to right for a solo home run to pull the Panthers within a run. One inning later the Panthers tied the score as Alex Haba doubled, moved over to third on a groundout to the mound and came across on Jack Nally’s sacrifice fly to even the game up at four after five innings. “Steven coming back, and putting one on the board to make it one run a game really put the dugout at ease and felt like we were in striking distance,” said Brown. Franklin now will try to become the lowest seed ever to reach the Super Eight final.